Does the inclusion of the Batmobile help or hinder Rocksteady’s final entry into the Arkham series? 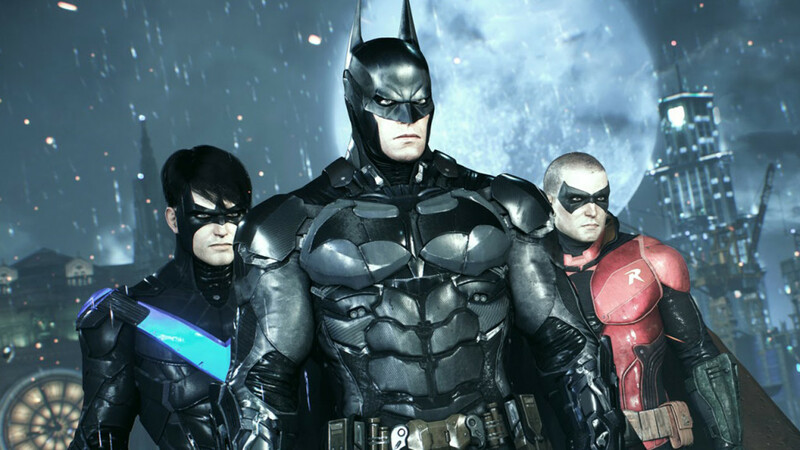 Batman: Arkham Knight is a title that suffers from a case of identity crisis. Rocksteady’s final entry into their excellent series that started with Batman: Arkham Asylum reaches its conclusion in this long-awaited (and delayed) finale. Gotham’s fate lies in the Dark Knight’s capable hands, and he pulls out every trick in his arsenal to see that this long night in Gotham won’t be its last. It’s just a shame so many compromises are made to ensure that the game’s main draw, the Batmobile, is weaved inside of Batman’s final adventure, to the point of alienating the Dark Knight himself. 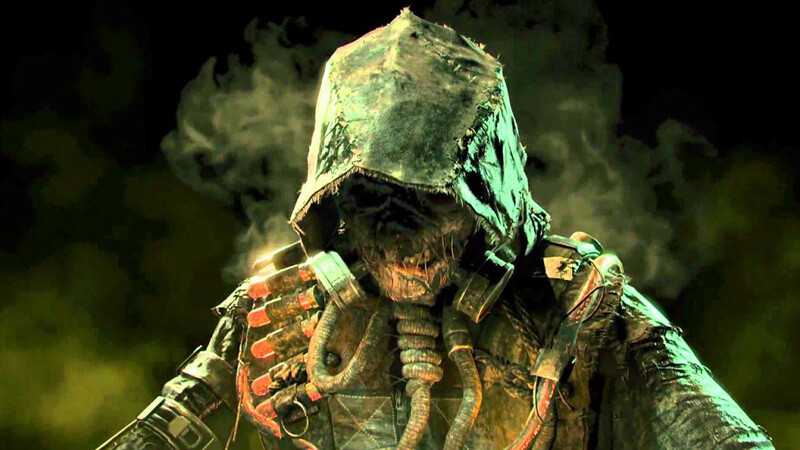 The Scarecrow, Arkham Knight’s central antagonist. With the Joker’s death after the events of Arkham City, Gotham’s crime has dropped dramatically. 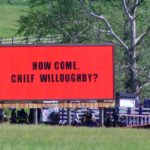 Everyone knows there’s a storm coming, as the criminal underworld still exists, but no one has made a play to seize what many thought would be a chaotic power struggle following the Joker’s passing. This time of uneasy peace quickly comes to an end, however, once the Scarecrow unleashes his newest batch of fear toxin on a small unsuspecting diner in Gotham. Inciting panic and threatening all of Gotham with the toxin unless the city is vacated, the premise is set for the Dark Knight to take action and for the streets of Gotham to be turned into a gang filled warzone. It’s a strong introduction and a great premise for Gotham needing the protection of Batman. It’s shame that this is really the only time we see the citizens of Gotham, though, as Arkham Knight sweeps into a long cinematic of Scarecrow’s threats blatantly wraps up why the city streets are empty of citizens, giving Batman, and the player, a pass to drive the Batmobile with reckless abandon in this open-world caper. It’s smart of Rocksteady to tie-up this technical hurdle before our adventure with Batman properly begins, but it’s still obvious as to why they’re doing it and a bit disappointing. This decision, of putting the gameplay ahead of the story and not having them complement one another in a seamless manner, plagues Arkham Knight’s experience throughout. A Batman romp wouldn’t be complete without batarangs. The biggest offender of mechanics-over-context is the Batmobile, the 90mph sled-turned-tank that players will use to navigate through the city. This iconic element of the character is the main focus of Rocksteady’s approach to Arkham Knight, acting as an extension of Batman and in this expanded world of Gotham. With the Batmobile, no object in your path is safe, as fences, barriers, trees and anything else rooted to the ground will bend, buckle, break, and shatter as you plow through the city. When you power-slide around a corner to tail a fleeing car, it’s easy to understand why criminals would fear the night and this roaring beast that dwells within it. Rocksteady’s attention to detail into making Gotham a playground for the Batmobile is easily one of the more impressive elements of Arkham Knight, as the destructibility of the world is something that could only be done on this generation of hardware. Where the Batmobile begins to have missteps is when it’s forcefully extended into other elements of the game – namely all of them. A glaring example of this narrative dissonance is with the Riddler challenges. What were once intricate hostage and puzzle-solving segments off-the-beaten path in Arkhams prior, are now preposterous underground race tracks the Riddler has somehow managed to build in Gotham, specifically for your Batmobile. These “courses” usually involve parking garages and long load times as you trolly underground to solve the Riddler’s puzzles involving the Bat’s vehicle. The whole excursion feels unnecessarily forced, turning his once fun challenges into an unfortunate chore across Gotham. Buckling up is way overrated. 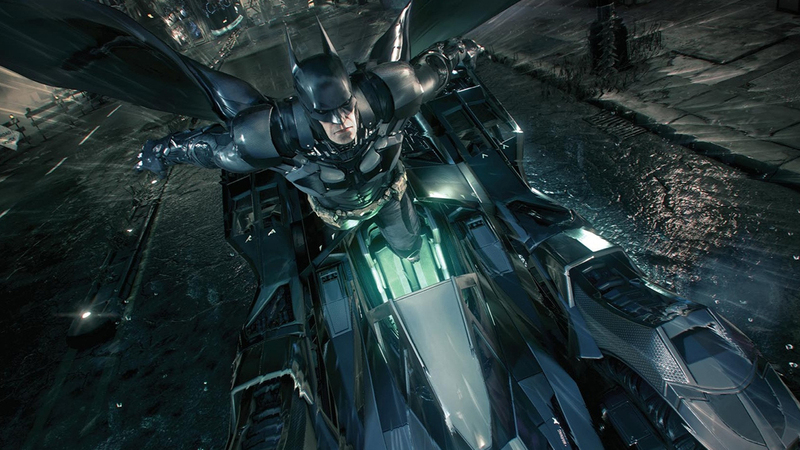 The Batmobile’s inclusion extends to nearly every dilemma in the Gotham, too. Is there’s a complex on fire in the city? The Batmobile can electronically tether into the building’s sprinkler system and snuff out the flame. Does a switch on a rooftop need powering? Don’t call in the Batwing, instead have the Batmobile navigate over rooftops to kickstart the generator with an electrical surge. Is that elevator broke? Again, have the Batmobile tether a cord and trolley the elevator up and down so Batman can reach the basement below. Having the Batmobile do everything while Batman stands separate from it makes him feel like an accessory to his own gadget. Turning the Batmobile into the “swiss army knife” of puzzle-solving also deludes the feeling of being the world’s greatest detective, as all major puzzles usually involve the Dark Knight positioning his 4-wheeled tank in a position to assist him. BUT DOES IT BLOW UP? When it’s not speeding through the streets of Gotham or tethering itself to switches, it’s during the tank segments of Arkham Knight that the most out-of-sync elements of the Batmobile appear. These explosive engagements turn the pragmatic experience of being Batman into a shooting gallery full of “coincidental conditions” to accommodate the use of firing missiles and explosive shells. The most obvious of these “conditions” revolve around the rocket-mounted drones sent to stop the Batmobile across Gotham. 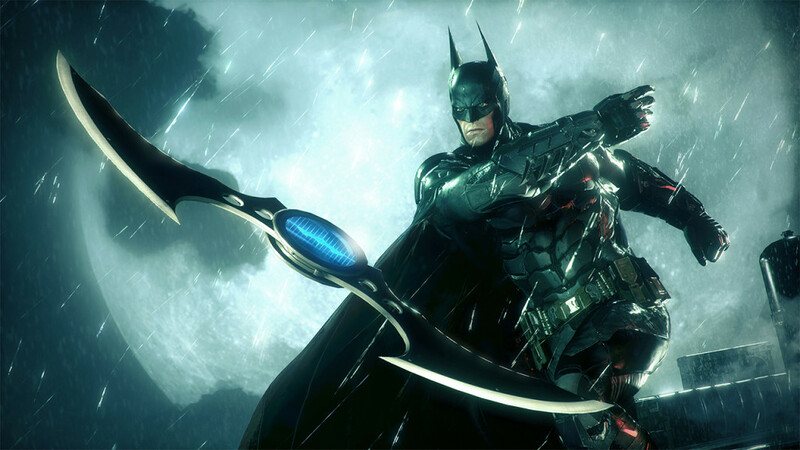 These drones are employed by the game’s main antagonist, the “Arkham Knight”, who claims to know all of Batman’s weaknesses and how to exploit them. Wouldn’t it make more sense and be more interesting if all the vehicles coming after Batman were actually manned by humans? How would the Dark Knight keep to his code of not killing if every missile-firing vehicle coming his way was actually manned by a human? Perhaps Rocksteady explored this possibility and it ended up not being a fun scenario to play, but it’s a scenario a smart antagonist would leverage against the Bat and one that would play to his intelligence as a character. Turning the game into a shooting gallery feels like a move to waterdown what makes Batman special, which is ability to not use explosive force to solve his problems. Guiding civilians to safety or villains to Gotham PD employs frequent use of the Batmobile’s trunk. It should be stated that though these tank combat scenarios do feel out of place, they are well-made. The vehicular combat loop of shooting, dodging, charging up your secondary-weapon and firing seven missiles at once is a good one. However, these sections are so plentiful and break up the pacing of being Batman on-foot so often, that even after completing the main quest I still didn’t have a firm grasp on how to control Batman in combat, or how I was upgrading and building him throughout the story. The clearest example of Batman playing second fiddle to the Batmobile is with the introduction of the new Batsuit. In the comics, when Batman dons a new suit it usually means his back is against the ropes and he’s pulling out all the stops against an adversary that’s pushing him to his limits. In Arkham Knight, the suit’s introduction isn’t saved for a confrontation with the Arkham Knight that went wrong (the Batmobile gets that, of course), instead it’s introduced on a random rooftop to teach players “Fear Takedowns” on a set of goons. This wasted character moment could have been one of the most empowering experiences in Arkham Knight, but the moment was instead relegated to a random rooftop a third of the way through to give Batman some new abilities. Once the new suit is acquired, VR combat simulations appear, further hammering in that the combat and stealth play second fiddle to the Batmobile. Rocksteady may have assumed anyone playing Arkham Knight was a returning fan, but the new systems layered on top of the combat and stealth mechanics needed time to be introduced and learned. 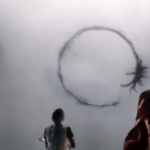 Because they weren’t, these elements feel overwhelming throughout the entire game. Nightwing and Robin both make a playable appearance, though their inclusion is clunky and best serves the story. Rocksteady found the perfect balance of being “the Bat” in Arkham City, but Arkham Knight layers on more combat and stealth systems on top of City’s foundation, while not taking the time to train players on the new ways of engaging their enemies on-foot. 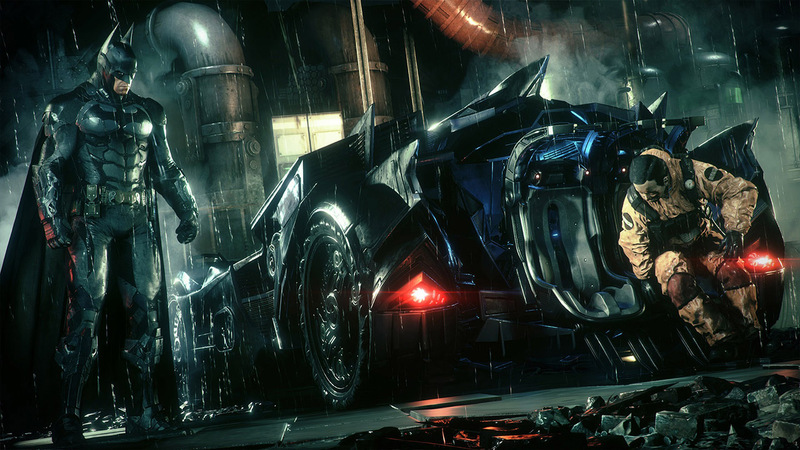 This pacing misstep is due mainly in part to making sure players understand how to use the Batmobile, leaving the franchise’s’ core mechanics on the backburner throughout a majority of the game’s story. Though it was always apparent that the Batmobile would be a big draw of the caped crusader’s adventure in Gotham, it’s inclusion into every aspect of Arkham Knight turns the experience of being the Dark Knight into a side attraction. The on-foot combat and stealth mechanics have been expanded upon in Arkham Knight, and Rocksteady’s portrayal of Gotham is well-realized, marking the largest world Batman has ever explored. However, the game’s pacing ultimately trips over itself by trying to balance being “The Batman” and being the Batmobile, never finding the right balance between the two. Nick is an avid gamer dating back to the NES days. A fan of all platforms, he plays a bit of everything and is a bit selective when it comes to his gaming time. A champion of gaming classics from eras gone by, you may find him reminiscing about titles from his youth from time-to-time.